Luria Neuroscience Institute (LNI) is an organization dedicated to advancing research and education in the fields of cognitive neuroscience and clinical neuropsychology, and to disseminating knowledge about brain function and dysfunction. The mission of The Luria Neuroscience Institute is to make state-of-the art information and cutting-edge ideas about neuropsychology and cognitive neuroscience available both to the professionals and among the general public through lectures, workshops, seminars, and other educational programs. Luria Neuroscience Foundation (LNF) is a not-for-profit organization affiliated with The Luria Neuroscience Institute. It is dedicated to advancing knowledge on brain function and dysfunction. The mission of The Luria Neuroscience Foundation is to promote and support cutting-edge research in neuropsychology and cognitive neuroscience. Our activities take many forms. We support cutting edge research and disseminate state-of-the-art information about the brain. We foster and facilitate international and interdisciplinary collaborations and scientific exchanges. Fostering cutting-edge research based on daring, innovative ideas and bridging the gap between neuroscientists, clinicians, and educators through a vigorous exchange of ideas and information is central to our mission. 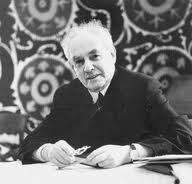 The Luria Neuroscience Institute and Luria Neuroscience Foundation are named after Alexandr Luria for a reason. Luria’s work was uniquely synthetic, his legacy singularly broad, and his impact global. Having lived and worked in Russia, Luria impacted North American and European neuropsychology like no one else. Having started his career in the field of cross-cultural psychology, Luria significantly advanced our understanding of brain function. Luria was equally respected as a scientist, clinician, and educator. This is the traditionLNI and LNF aim to embrace, emulate, and advance. Alexander Luria (1902-1977) (wikipedia) was among the most seminal psychologists and neuroscientists of the twentieth century. Working under difficult conditions in the former Soviet Union, he contributed more than anyone else to the coalescence of the discipline known today as neuropsychology and to framing a rigorous program of studying the brain mechanisms of complex cognition. Luria was also a clinician-humanist who pioneered important approaches to the diagnosis and rehabilitation of neuropsychological disorders. Luria’s ideas and the scientific school he founded remain influential today. The Luria Neuroscience Institute and Luria Neuroscience Foundationare directed by Elkhonon Goldberg, Ph.D. (wikipedia), one of Luria’s closest living students and associates. An active scientist, clinician and educator, Elkhonon Goldberg is internationally renowned for his research in cognitive neuroscience and clinical neuropsychology. He has authored several widely acclaimed books which have been translated into many languages. He lectures worldwide. 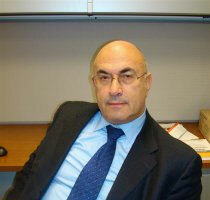 Goldberg is also a clinician with an active practice in neuropsychology.